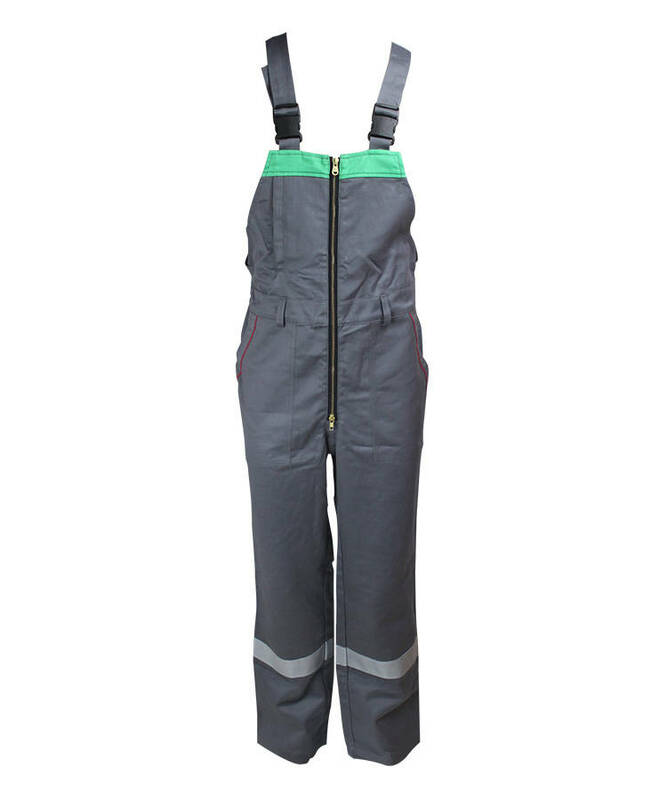 This cotton water oil repellent overalls made of 320gsm cotton water oil repellent fabric, and can meet AATCC22, AATCC118, ISO4920 and other standards. 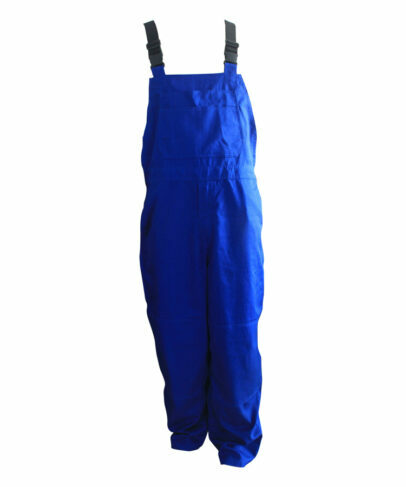 When this cotton water oil repellent overalls meeting the water or oil not inadhesion, it has the propriety of anti water permeate and anti water press. 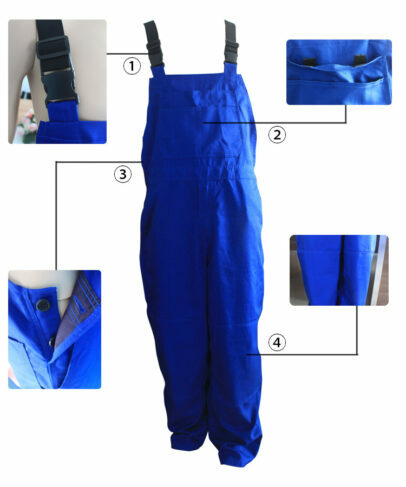 The cotton water oil repellent overalls strength is high, durable, breathable, can protect workers at chemical, metallurgy, electroplate, printing and dyeing, paper making and other industries . 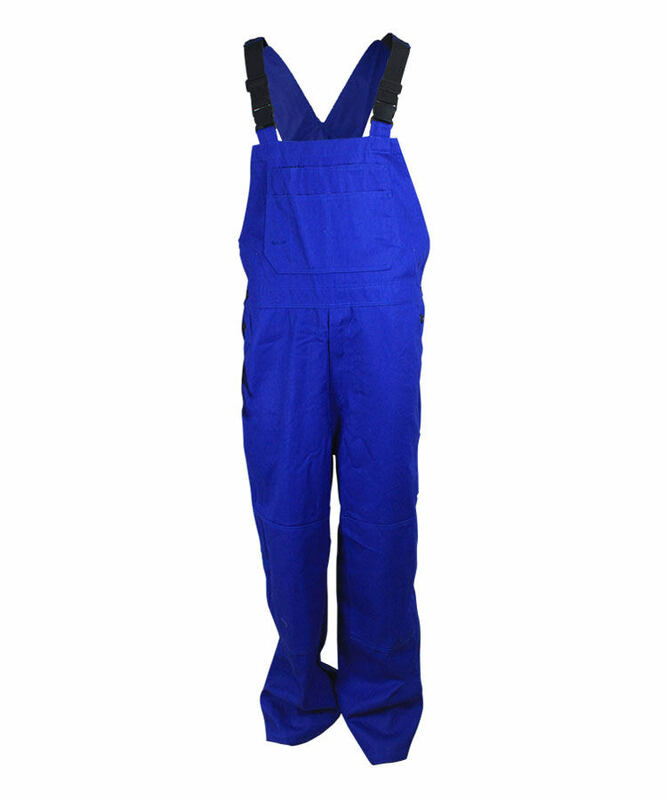 This cotton water oil repellent overalls is skin friendly and certified according to Oeko-tex class 2. On straps it added 4 cm width twill elastic band, can greatly increase the scalability of the straps. Front pocket opening with straps are connected by a plug buckle closure. Front pocket opening is made up by a double multifunctional tool bag, placed different tools according to different needs. 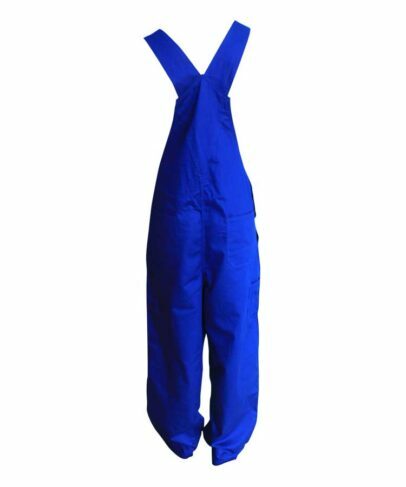 Cotton water oil repellent overalls on both sides have the opening, with eyelet, waist line and side seam pockets in four eyes clasp closure. Practical and convenient to put on and down. 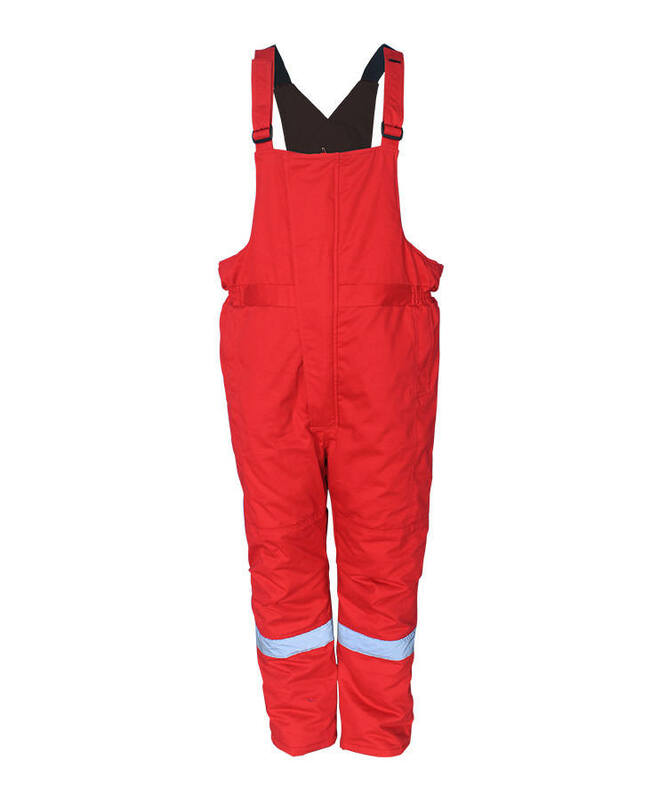 Cotton water oil repellent overalls have knee pad on front legs, bottom on knee pad have Velcro closure, place protection mat according to work demand, better protect your knees. Twill band have three buttons which can be adjusted according to the requirements of the wearer suspender length. Increased the comfort of the wearer. Back pocket opening have double stitching on the upper, beautiful and fashion, strong and durable. The cotton water oil repellent overalls of the out seam have 3 sewing line, strong and beautiful. 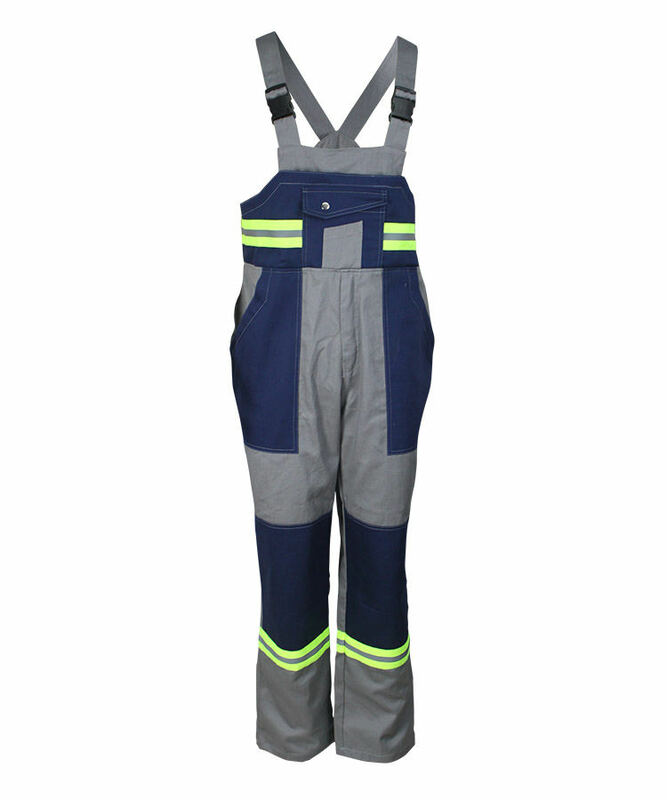 The bottom of the cotton water oil repellent overalls back pocket is double layer, greatly increased the fastness.